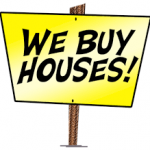 We Buy Houses Companies In Pueblo Co: Are They Legit? “We Buy Houses” Companies In Pueblo: How do you spot fakes? In November 2018, the seasonally-adjusted annual rate of existing home sales in the U.S. was at 5.32 million. That represents a 1.4% increase from October, which was at 5.22 million. Even the median house price went up to $257,700. This is despite 27% of consumers saying they don’t have plans of buying a house within the next decade. The stabilizing home sales also prove that many still choose to become homeowners. This is also good news for sellers, since rising home sales means more potential buyers. But what if you need to sell your house ASAP? 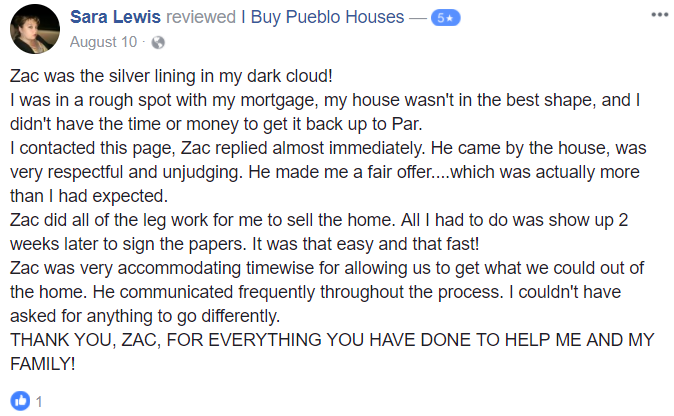 Should you respond to those “We buy houses” companies in pueblo“ ads you’ve seen? Are those “buyers” even legit in the first place? All these questions, we’ll cover in this post, so make sure you keep reading! Did you know it can take anywhere from three weeks to 65 days to sell a house? Some take years, like Michael Jordan’s mansion still listed after six years of being for sale. The NBA star already even cut the price in half, to no avail. Some people can wait for long periods of time, but many others can’t, like those facing foreclosure. In July last year, there were 30,187 U.S. properties that started the foreclosure process. That represents almost half (44%) of the country’s markets! The good news is, you can still sell your property before it enters the final stages of foreclosure. Doing so can mean a higher selling price than what you’d otherwise get if sold as a foreclosed property. It also lets you prevent the lasting damage foreclosures have on one’s credit history. How long pre-foreclosure is depends from state to state. In Colorado, lenders have 30 days to send a pre-foreclosure notice after a default. Let’s say you default on your mortgage payment today. Your lender should mail you a Notice of Election and Demand within the next 30 days. After that period, the lender can already file the NED and other documents to the public trustee. Once filed, the public trustee can set a sale date for your property within 110 to 125 days. Only certain borrowers can delay foreclosure up to 90 days. That’s too small a window to get your house sold. Especially if it needs major repairs. Companies that buy houses for cash won’t need you to spend more money on such repairs. You can sell your house as is to these businesses, so you can avoid more expenses and foreclosure. Many of those going (or have gone) through a divorce also often want to sell their house ASAP. Their house holds too many painful memories that they want to get rid of it right away. The same goes true for those who own a dilapidated and mold-infested house in El Pueblo. Repairs and mold remediation cost a lot, and may be an impractical route for them. Regardless of why you want to sell your house this week, that “We buy homes for cash” sign you saw is like a miracle, right? Or, you may have thought it’s “Too good to be true”. It’s neither, because many of these companies are legit and reputable businesses. You may have heard of them as “house flippers”. House flipping is legal and an actual industry in the United States. In fact, there were 48,457 flipped single family homes and condos in the first quarter of 2018 alone! That’s 6.9% of all homes sold during that quarter. Be aware though that some are only claiming to be “house flippers”, but are running a scam. Avoiding extreme low-ballers and scammers requires vigilance. Even if you’re selling as is, that doesn’t mean you should be fine with a very low offer. It’s still real estate property, so you should still get a fair amount from it. 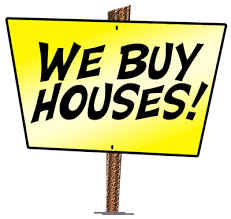 That said, look for these signs — they’ll tell you if a “We buy houses for cash” business is legitimate. Check the legitimacy of the buyer through the Better Business Bureau. The BBB can tell you a lot about the company, including years in business and contact details. Look at the rating — it should not be lower than A+. The BBB website is also a great place to check reviews of companies that buy houses. Read through as many of these so you know what to expect when you call the buyer. The BBB also lets you see right away how many stars the business has. You’d want to stick to a five-star company, as this means happy and satisfied customers. Stay away from buyers who appear too eager to buy your house. Especially those who say they’ll buy your house no matter what, without even seeing it. Only reputable house-for-cash buyers would ask you to provide details about your house. They will review the information, so they can gauge if it meets their buying criteria. If it does, then they’ll ask you to schedule an appointment with them for a house check. Once they’ve carried out these checks and examinations, only then will they make a fair offer. Speaking of offers, only a legitimate buyer will provide you the details in writing. The document also indicates that there’s no obligation that comes with the offer. It means you’re under no obligation to sell your house to them, even if they already inspected your house. They would also tell you how long it may take before they can give you the cash for your house. If all documents are in order, then it may only take seven days. But in some situations, it can take between 30 to 60 days. Either way, a reputable business will inform you right away of the time frame. They will also put this into writing. Don’t get into a contract with a buyer who doesn’t supply these documents. Yes, they may give you a good price, but they can go back on it without a written document. Worse, they may get back to you with a lower offer when you’re only a few days from foreclosure. If the buyer doesn’t meet any of the above, those are already signs you’re dealing with a schemer. But the following are other “red flag” behaviors you should be on the lookout for. These’ll tell you that not only are they unlikely to buy your house — they may even take some of your money. You have a good idea of your home’s “as is” value, so the buying price offer should be near it. Take anything too low or too high a sign you shouldn’t push through with the transaction. Consider how extensive property damage is though, and how much it would cost to repair. Flippers still need to make profits, so you have to factor in those repair costs too. But if your house is still in good condition, and you still get a low offer, take your business elsewhere. For example, you call the number on that “We buy homes” ad and tell the person on the other line your problem. After explaining your situation, they’ll tell you they can start the buying process. But they need to collect a certain amount of fee to do so. No matter how small the fee is, it’s illegal to charge such unless they’ve already done something. In fact, no reputable home-for-cash buyer will ask you to pay anything upfront. You’re the one selling in the first place, so there’s no need for you to shell out money. Most legitimate We buy houses companies in pueblo will have a reputable website with preferable a lot of positive seller reviews.Having a website is one thing, but only having a P.O. box listed there is another. These aren’t real addresses, which should make you wary already. If you deal with these businesses, you’ll have a hard time tracking them down if they take your money for naught. That said, even if there’s a complete address listed, be sure to still verify it. Again, the BBB can tell you if there’s such a business operating from that location. If you can’t find any details, stay away from that “seller”. There are legit house-for-cash buyers, but there are as many who only want to make quick cash. Don’t let these people fool you. Follow these tips, and you can spot a real “We buy houses” business from scams and schemes. Need to know more about how the “We buy homes for cash” process works? Here’s a guide you should check out for more details.